The real octomom: Scientists find record-breaking octopus that stayed with her eggs for over four YEARS. Researchers at the Monterey Bay Aquarium Research Institute (MBARI) have observed a deep-sea octopus brooding its eggs for four and one half years—longer than any other known animal. Throughout this time, the female octopus, a species known as Graneledone boreopacifica, kept the eggs clean and guarded them from predators – even though she gradually lost weight and her skin became loose and pale. 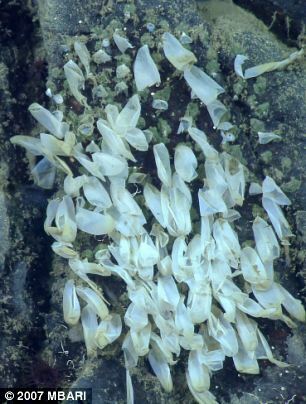 Graneledone boreopacifica produces hatchlings that are very highly developed, which gives them the advantage of a high potential for survival. This research suggests that, in addition to setting records for the longest brooding time of any animal, Graneledone boreopacifica may be one of the longest lived cephalopods (a group that includes octopuses, squids, and their relatives). 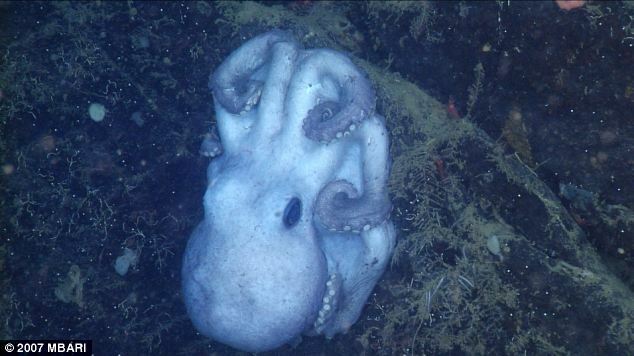 Most shallow-water octopuses and squids live just a year or two. 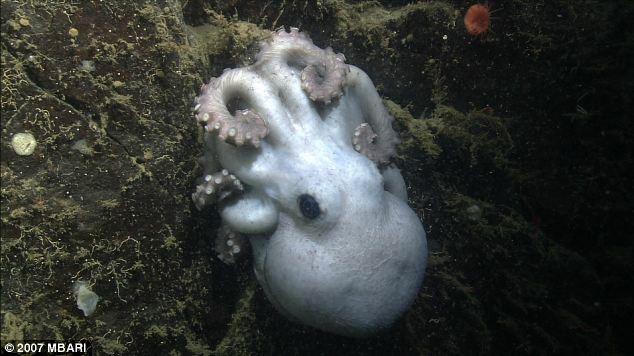 As the years passed, her translucent eggs grew larger and the researchers could see young octopuses developing inside. Because the young octopus spend so much time in their eggs, by the time they hatch they are fully capable of surviving on their own and hunting for small prey. In fact, the newborns of G. boreopacifica are larger and better developed than the hatchlings of any other octopus or squid. 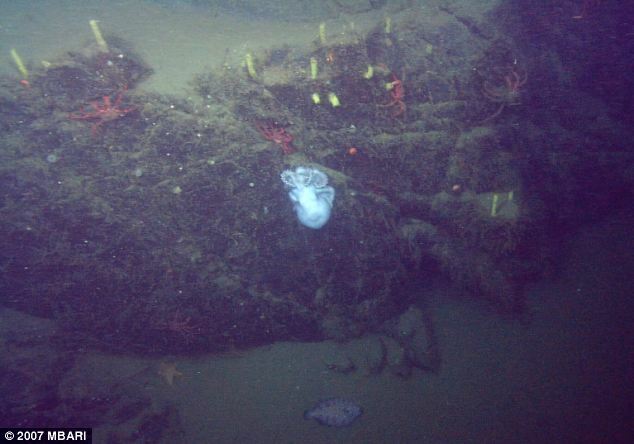 The female octopus clinging to a rocky ledge just above the floor of the canyon, about 1,400 meters (4,600 feet) below the ocean surface.